Visual Basic in Easy Steps Mike McGrath’s Visual Basic in Easy Steps is one of the newest books in this list. It teaches you how to create simple applications using Visual Studio Community and the …... Application.Exit(); So friends this article will help you to create a Login Form in Visual Studio and connect with SQL Server. The next time I will put some more interesting commands, thank you. 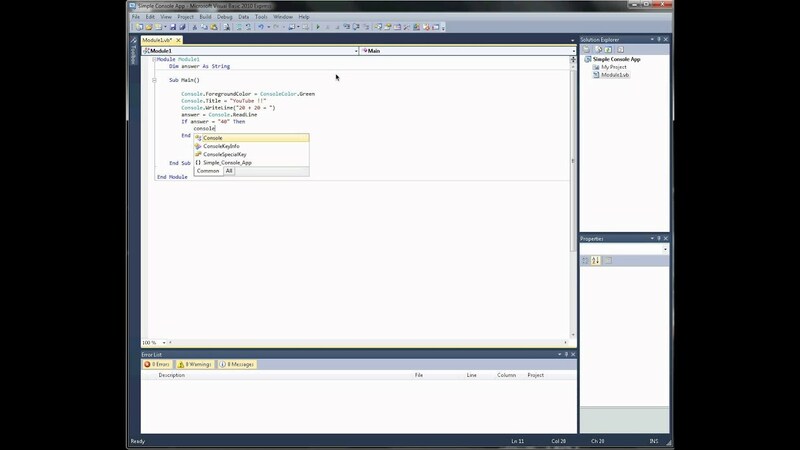 How to create a simple WPF application In Visual Studio 2008. Open Visual Studio 2008 and choose "File", "New", "Project..." in the main menu. 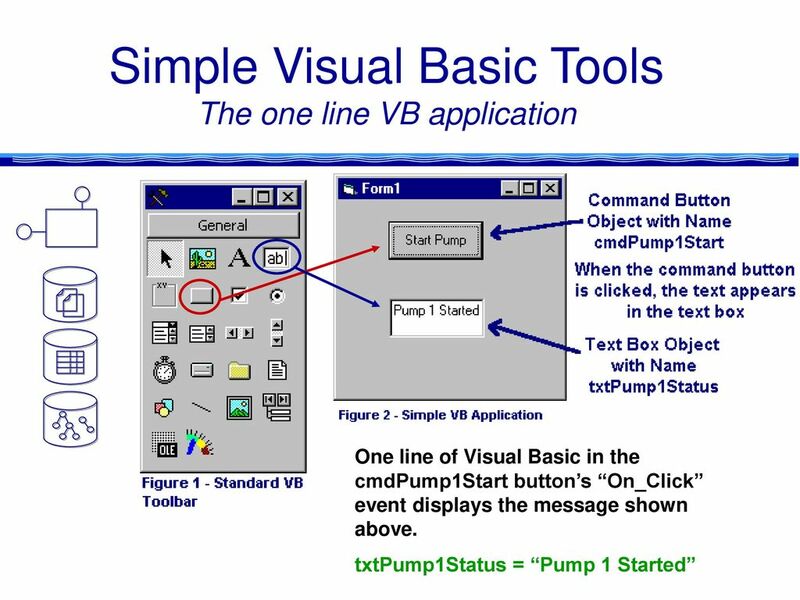 Choose "WPF Application" as project type.... 8/01/2014 · Visual Basic is a programming language that allows you to create executable programs, in other words, the EXE files that run a program. First released in 1991, this program was designed to make it easier for those that may be unfamiliar or new to programming. 24/06/2015 · Visual Basic https: //social.msdn but I can't even find a tutorial showing how to make a simple Rich Text Editor Toolbar. So, if anyone can help that would be amazing. I need all these pieces in relatively current VB.NET as it is the only language I know right now. And older converters are glitchy. For starters, if nothing else, can someone show me how to create controls to edit selected how to make a basic budget Today, I discussed how to create a simple C# console application using Visual Studio 2010. This was a fairly trivial example, but it should provide a solid starting point for creating your own console applications. 21/11/2005 · Hello I have simple application with an Access database using VB.NET. I do not know how to export them to create execute files to run to other computers. The following video shows how you can make a keylogger in Visual Basic 2008. Follow the steps below to create your own keylogger. First you will want to open a new application and name it according to your preferences. So, you can develop a console application in Visual Basic, create an executable file, and then, use my utility to convert the executable into a console application. My utility was developed in Visual Basic, and the source code is provided within the sample package.